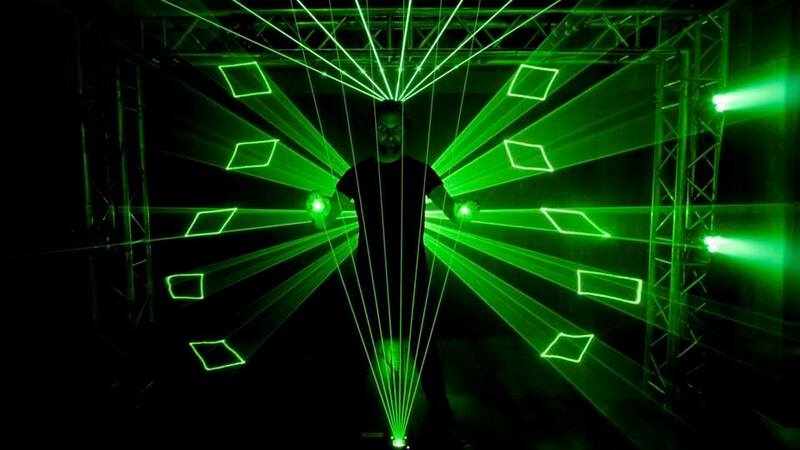 The Laser Harpist is quite simply the most high-tech, visually stunning and unique show that combines the laser harp with custom designed laser graphics, to give your audience a show they will never forget! 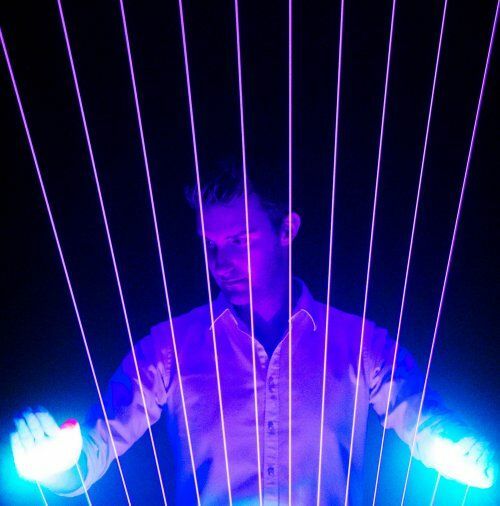 The Laser Harpist is such a visual instrument to play, actually allowing music to be created with light. Combine that with powerful laser graphics projectors that emit beams that soar over the heads of your crowd and you have one of the most immersive, visual experiences that a musician can produce. The show is perfect corporate entertainment, and has been performed at events all over the world including; Canada, The USA, The Caribbean, Italy, Spain, The UK and The Maldives. The Laser Harpist show can be tailored to meet the specific needs of your client. 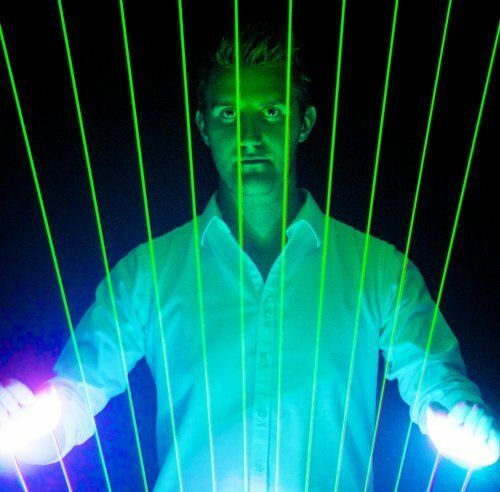 Be it an intimate corporate dinner, or the launch of a new phone, The Laser Harp can be custom programmed and designed with limitless colours and possibilities to match the theme and branding of your company or event. Want to reveal a logo within the show? No problem! With the laser graphics software, they can digitise your logo and upload it to the laser projectors. The Laser Harpist is perfect for conferences, dinners and more. 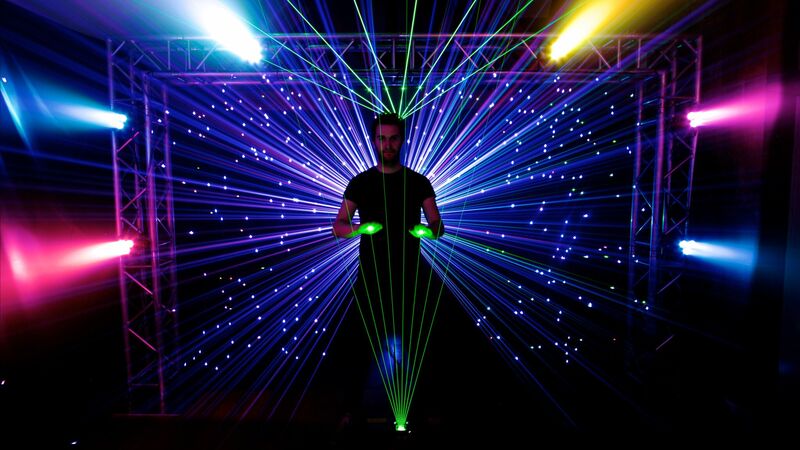 If you are looking for laser entertainment, this is one of the best laser acts in the UK. The Laser Harpist performs a 5 -10 minute show. A 20 minute performance set can be booked combining with the Laser Harpist DJ. This show can be extended if the DJ is required for longer without the harp (just the laser projectors). ★ A show you’ll never forget!